The debate around Title IX enforcement on college campuses has intensified recently, in the wake of Education Secretary Betsy DeVos’ recent announcement that she plans to rescind existing guidance and replace it with regulation at an unspecified date. 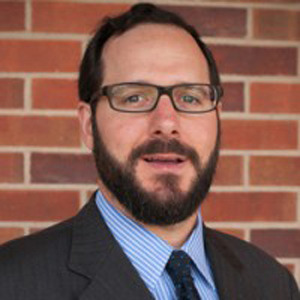 According to Ben Trachtenberg, associate professor at the University of Missouri School of Law, current conversations around Title IX enforcement often skip over one key element: the impact of racial bias on disciplinary outcomes at colleges and universities. In a paper published in the 2018 Nevada Law Journal, Trachtenberg argues that accused students, more commonly referred to as “respondents,” may be impacted by biases around race and ethnicity during the disciplinary process, weighting the system against minority students. The trouble is, there is no way to know whether this is the case since colleges and universities are not required to collect or make public demographic data relating to disciplinary proceedings. “The Office for Civil Rights would be wise to require higher education institutions to collect demographic data about discipline as K-12 schools are already required to do,” Trachtenberg said. Through the Civil Rights Data Collection (CRDC), the Education Department already gathers demographic information about students in K-12 schools across the country, including demographic data on students who are given in-school suspension, out of school suspension, and expulsion. The data has helped shape policy initiatives, and provided clear evidence that at some schools children of color are disproportionately likely to be suspended or otherwise penalized. So why not do the same at colleges and universities, Trachtenberg asks? While greater transparency would shed light on all campus disciplinary proceedings, Trachtenberg argues that it would have a particular impact on cases involving complaints of sexual harassment and assault. Broad definitions of what constitutes sexual harassment and assault leaves room for subjectivity on the part of the administrators overseeing the cases, according to Trachtenberg, opening the door for possible bias, implicit or otherwise. Title IX was first created in the 1970s in an effort to create parity in high school and college sports for women. Its scope has since expanded to include the potential removal of federal funding from schools if they discriminate on the basis of gender, and to require them to prevent and address sexual harassment and assault on campus. Under the Obama administration, the Office for Civil Rights (OCR) issued new guidance intended to push schools to investigate complaints of sexual assault and harassment more strenuously. Few would deny that the guidance helped move the needle on combatting campus sexual assault and harassment, bringing greater national attention to a very real problem. Yet Trachtenberg argues that good intentions can still sometimes have unintended consequences, particularly if there is no means to comprehensively study the results of new policies. Little is known about the guidance’s impact on students of color, because the data is simply not available. Sexual assault survivor advocates, however, caution against focusing solely on the impact that race has on outcomes for respondents, without also looking at its impact on complainants, since biases are likely to be at play for both. “We have called similarly for aggregate data about disciplinary outcomes – the demographics of survivors and the demographics of respondents — to make sure that there are not disparate impacts in terms of who is disciplined,” said Alyssa Peterson, policy and advocacy coordinator at Know Your IX, a survivor- and youth-led advocacy organization dedicated to ending sexual and dating violence in K-12 schools and college. While there are substantial gaps in our understanding of how race impacts outcomes in disciplinary processes, existing evidence shows that survivors of sexual assault who are also minorities “are particularly harshly treated” in the current system, Peterson said. “We don’t necessarily know if there’s implicit bias for respondents — I assume [there would be] because there’s implicit bias in everything — but what we do know is that survivors of color are less likely to be taken seriously when they file reports, and often may experience damaging stereotyping during investigations,” Peterson said. To gain a better understanding of how disciplinary proceedings are playing out on campus, Know Your IX is advocating for education departments across all 50 states to develop standardized campus climate surveys for schools to administer every two years. Schools would then be required to publicly release that information. OCR already has the capacity to gather demographic information through resolution agreements with schools and publish the data through its CRDC system, Peterson said, but raised concerns about whether the Trump administration would be a “reliable partner” in that work. “[The administration] is not concerned about this issue on either side, so I don’t know if it’s feasible for them to implement this well,” Peterson said. A few schools have already taken steps to be more transparent about their campus climate. Yale University, for instance, began publishing semi-annual reports on the prevalence of complaints of sexual misconduct in 2012. The reports do not include demographic data. Peterson points out that many such efforts at transparency were prompted by years of student activism. Schools already have the data they need to understand whether race plays a part in disciplinary outcomes at their fingertips in Title IX offices. They already compile data on the racial and ethnic composition of their students, their graduating classes, and the like. So what is preventing them from being more transparent about disciplinary processes? asks Dr. Melissa Kagle, senior research associate at the Knowles Science Teaching Foundation. Prior to joining KSTF, Kagle was an assistant professor of educational studies at Colgate University, where she became increasingly troubled by what appeared to be racial bias against students of color in the way that the school dealt with sexual misconduct cases. “If [schools] are worried about what they might learn, then that’s an even bigger reason to be forthcoming about these numbers, to give some examination of how these things are playing out on their campus and why,” Kagle said.